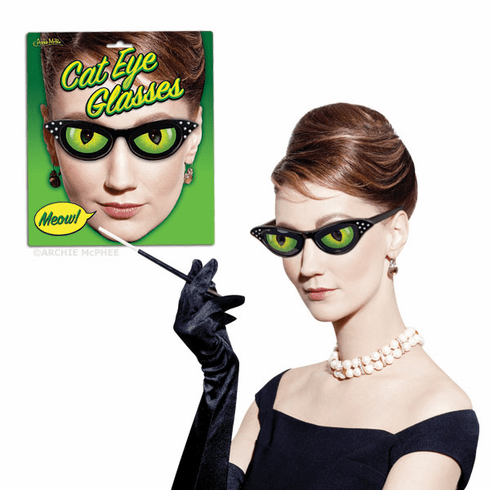 Most of the time when you say cat eye glasses, you're referring to the shape of the frame. Our Cat Eye Glasses not only have the horn-rimmed shape, but also actual cat eyes in the frame. This quality plastic eyewear is perfect for Facebook photos or for letting people know that you think the next step of human evolution is to become more catlike.